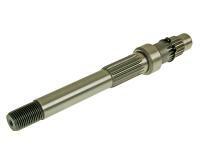 Gearbox output shaft for GY6 139QMB/QMA engines. This is where the rear wheel is mounted. 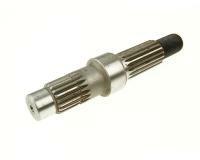 Suitable for all rear drum brake models.